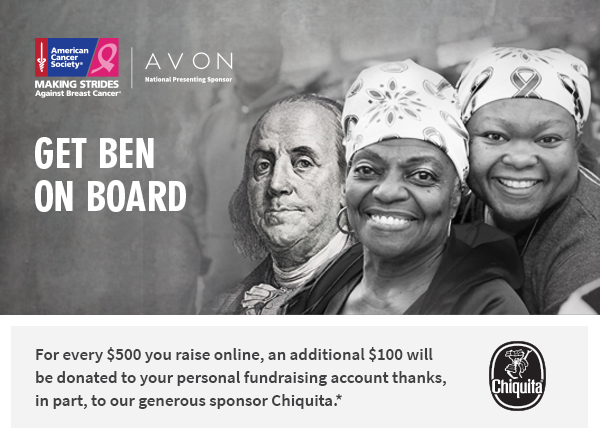 For the third year in a row, Ben Franklin is here to help take your Making Strides Against Breast Cancer fundraising to new heights. Because for every $500 you raise online between October 1 and 5, an extra $100 will be donated to your personal fundraising page on the MSABC/ ACS WEBSITE ONLY. 1. Join the MSABC in SL team Walk here. 2. Send out emails and messages on your social media- or just tell your friends and family & let them support your efforts! 4. Have an extra $100 credited to your total from Chiquita! For more information, on how your $500 can impact a cancer patient and their caregiver, visit here. 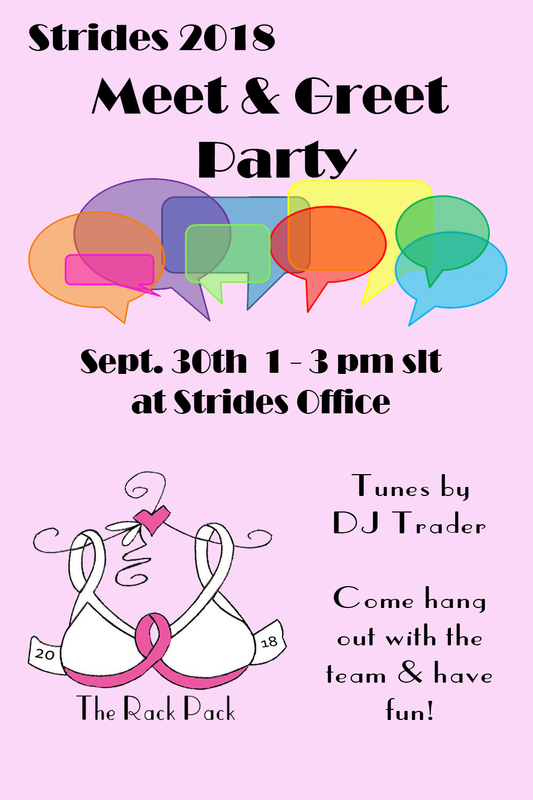 This entry was posted in american cancer society, making strides and tagged #acs, #American Cancer Society, #breast cancer awareness, #cancer, ACS, american cancer society, awareness, caregivers, Donate, donation, fundraising, Making Strides Against Breast Cancer, MSABC, survivors on September 28, 2018 by sandieloxingly. 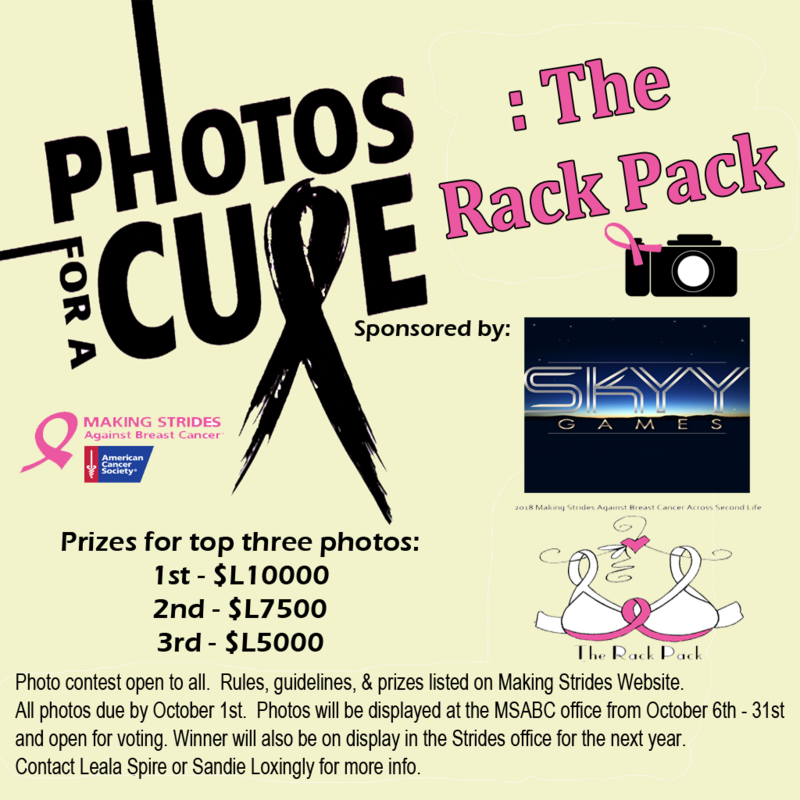 Photos For A Cure: The Rack Pack- Submit Your Photo Today! 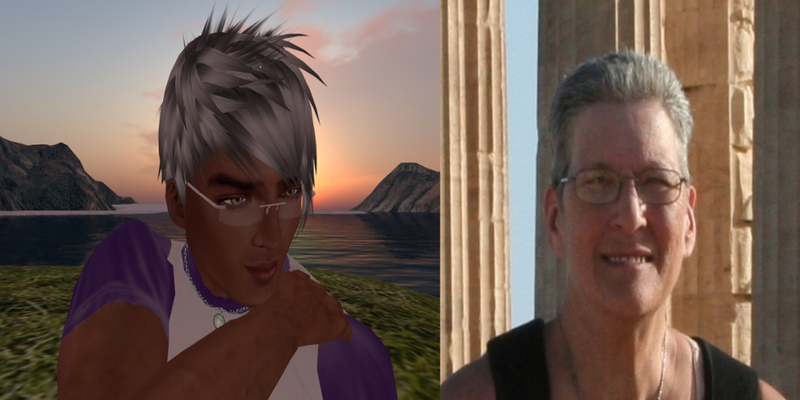 Calling all Second Life photographers- amateurs & pros! The 2018 Photos For A Cure: The Rack Pack Photo Contest in support of Making Strides Against Breast Cancer Across Second Life is now open! The theme this year is “The Rack Pack” – think old Hollywood, Sinatra & the Rat Pack, fashion.. be creative! For full details and how to submit your photo to the contest, visit here. This entry was posted in american cancer society, Committee event, making strides, second life and tagged #acs, #American Cancer Society, #breast cancer awareness, #cancer, #TEAMMSABCofSecondLife, 2018 Making Strides Against Breast Cancer in Second Life, ACS, american cancer society, awareness, breast cancer, breast cancer awareness month, cancer, events, Photos For A Cure, The Rack Pack on September 17, 2018 by sandieloxingly. Spotlight Stories Returns This October! 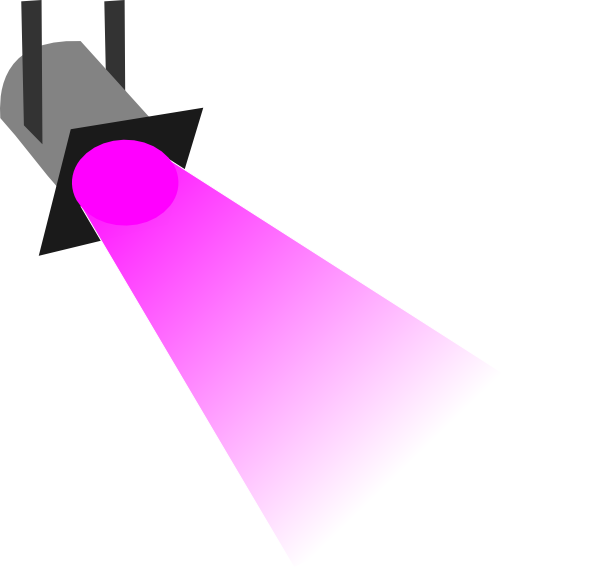 During the month of October we would like to shine a “spotlight” on our breast cancer patients, survivors and caregivers. Space is limited to 5 stories- get yours entered today!! This entry was posted in american cancer society, Committee event, making strides, second life and tagged #acs, #American Cancer Society, #breast cancer awareness, #cancer, #TEAMMSABCofSecondLife, ACS, american cancer society, awareness, breast cancer, breast cancer awareness month, caregivers, making strides against breast cancer across second life, mission, MSABC, survivors on September 15, 2018 by sandieloxingly.